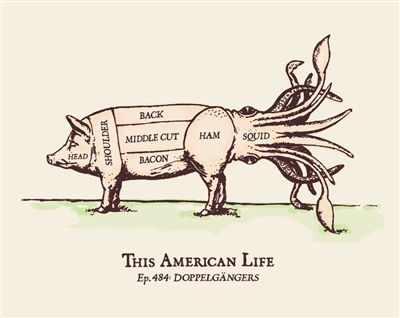 Remember our episode "Doppelgängers," with Ben Calhoun's investigation into whether... um... people might be selling sliced hog rectums and saying that they're calamari rings? Well, with this print on your wall, you'll never forget it. 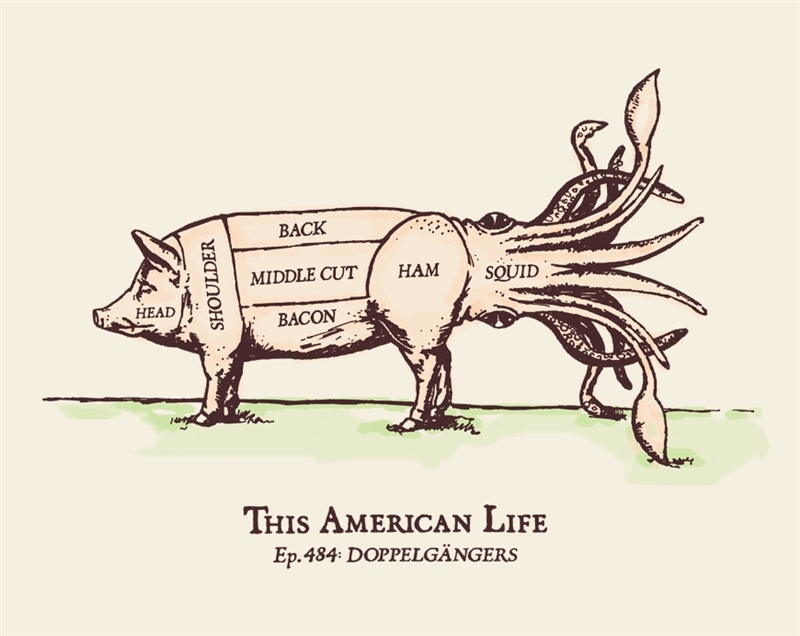 It was designed by Steve Dressler and is printed on heavy, 11x14 acid-free archival paper. And/or, get the T-shirt. To prevent damage, posters ship in a tube, separate from other items. Orders that include a poster and other item/s will incur two separate shipping charges.